We provide proactive, IT-managed services using a Remote Monitoring and Management (RMM) platform to continually evaluate the health and performance of your IT network—without any kind of disruption to your employees’ activities. 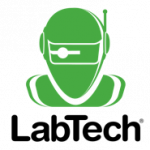 Our robust RMM platform supports early detection and remediation of issues, before they cause downtime or data loss. We will also generate regular reports that provide insight into your IT system, including the business value and services being received, which will help you plan and budget for future IT expenses. Ensure your system is always working effectively with identification and automatic updating of all software patches and hotfixes to all of your devices. This gives you the peace of mind that all patches are up-to-date and your system will continue running at optimal performance. We collect and track hardware and software inventory from Linux, Mac and Windows operating systems, so you have a complete record of all your IT assets. We monitor the Windows event log and initiate immediate remediation of critical events, which safeguards your network against unexpected crashes and data loss. Effective management and detection of continually evolving threats and malicious software attacks ensures your IT network is secure. This includes protection from spyware, spam and phishing scams. Our antivirus services include comprehensive monitoring and deployment of virus definitions and updates, so you know your system is always protected. 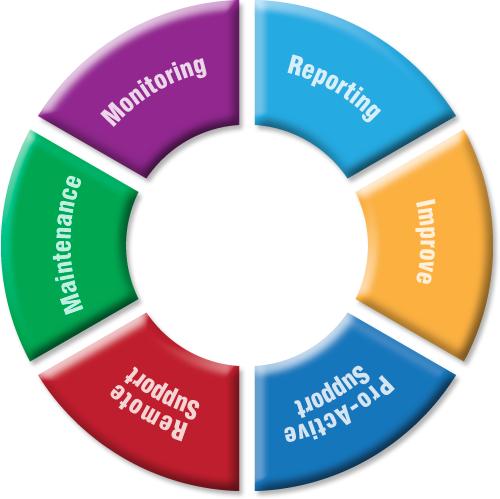 We provide customized reports giving you insight into your IT system. Including executive summaries, status reports, configuration and inventory statistics, all available to keep you informed of the services you receive and the status of your IT network. Your employees will receive fast, secure, remote technical support direct from our engineers. Our built-in help desk ticketing system and on-demand tunnel vision streamlines technician response time, for quick and efficient resolution of all employee support issues.